LIBERAL, Kan. – Following an historic season that saw their first Region VI Championship in 13 years, the Seward County Lady Saints volleyball team will look to repeat that success in 2017. The Lady Saints are projected to finish 2nd in the Jayhawk Conference this season. Losing six sophomores from last year, the Lady Saints bring back a strong core of players including 1st-Team All-Region VI Mariana Nascimento. During her freshman season, she had a .416 hitting percentage, which ranked second in the Jayhawk Conference and third in Seward County single season history. Other key returners include setter Giovanna Kuntze and outside hitters Erica Ferreira and Briana Domino. Kuntze averaged more digs per set (2.35) than any other setter in the Jayhawk Conference, while Ferreira (1.36) and Domino (1.28) ranked fourth and fifth on the team, respectively. The Lady Saints also return outside hitter Viviane Viana, who redshirted last year. Seward County brings in six freshmen for the 2017 season. Middle hitter Brianna Bradford, setter Scout Torres, setter Esmadar Tavares, libero Nathiellen da Rocha Machado, middle hitter Luz Divina Nunez Sierra, and right side hitter Giovanna Tapigliane all look to make an impact for the Lady Saints this fall. Thais Baziquetto-Allen returns to the sideline for the third year as head coach for the Lady Saints following a season that led to her being named Jayhawk West Co-Coach of the year. In her two previous seasons, she has gone a combined 53-26 overall and 27-5 in conference play. Baziquetto-Allen brought on Garrett Case to be her assistant coach in 2017. Case spent 2016 as a volunteer assistant at Missouri State University. He has also coached at the club level for the past four seasons, leading his teams at the 15 National, 16 National, and 18 National levels to top 20 rankings inside the region. The Lady Saints have two days of scrimmages before the season officially begins. They will travel to Oklahoma Panhandle State on August 12th to take on Trinidad State Junior College (11 a.m.), Dodge City Community College (1 p.m.) and Oklahoma Panhandle State (3 p.m.). Their final scrimmage will be in The Greenhouse against Oklahoma Panhandle State on August 16th at 6:30 p.m.
Seward County opens the season on the weekend of August 25th at the New Mexico Military Institute Kick-Off Classic. 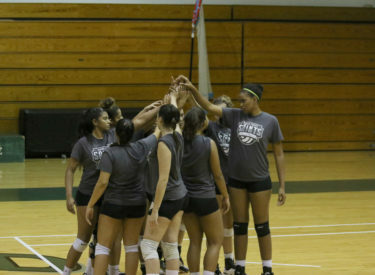 The Lady Saints will face off against Odessa College (10 a.m.) and Pima Community College (4 p.m.) on the 25th before taking on Eastern Arizona College (9 a.m.) and South Mountain Community College (1 p.m.) on the 26th.